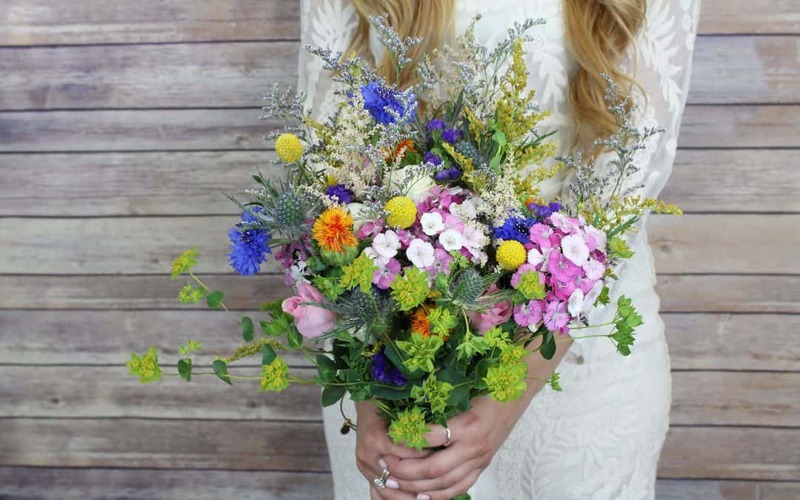 We’ve said it before, and we will say it again, wildflowers are SO budget friendly! 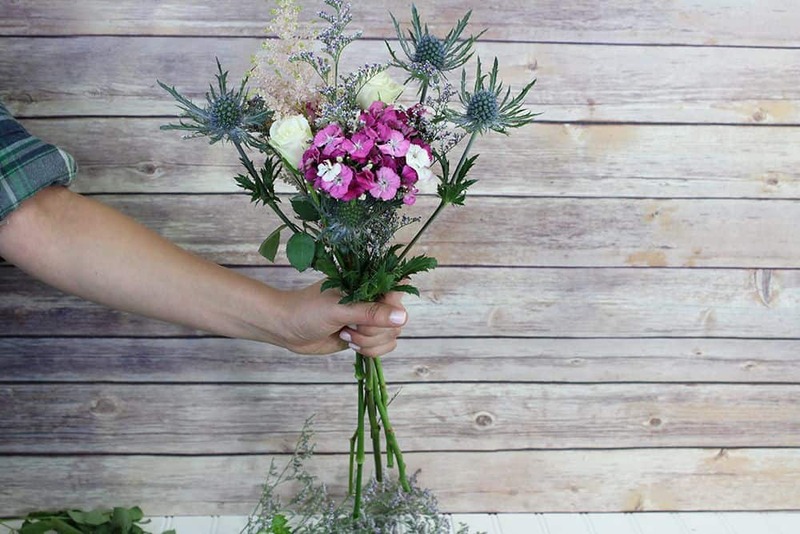 This tutorial on how to make a wildflower bouquet is your money saving trick for some gorgeous wedding flowers! A bouquet is the perfect floral accent for a boho wedding, a bright outdoor farm wedding, or anything in between. So here we have some of our favorite novelty bunches! 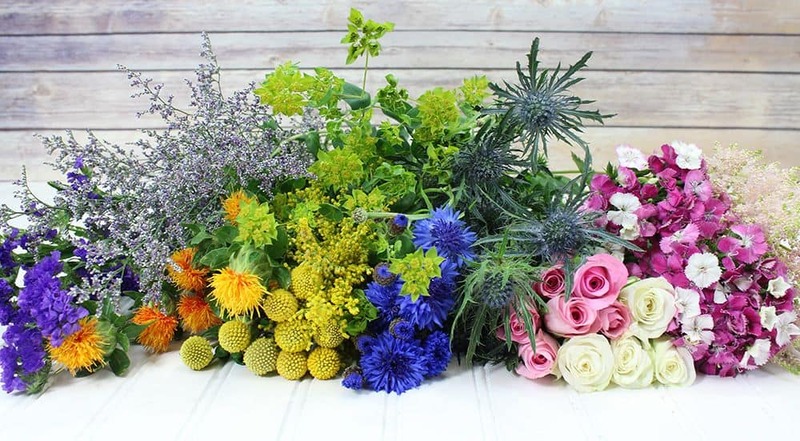 From left to right we have purple statice, orange safflower, purple limonium, billy balls, solidago, bupleurum, blue cornflower, thistle, pink sweetheart roses, white sweetheart roses, pink dianthus, and pink astilbe. We started off by trimming and pruning all the stems. If you think that it looks like a lot of stems there, you’re right! We did not use all of these stems for the bouquet. About 3 stems of each bunch were used. Here is our first bunch. We used this as the center of our bouquet and wrapped it in a little bit of floratape stem wrap, so we had a base that wasn’t falling apart. 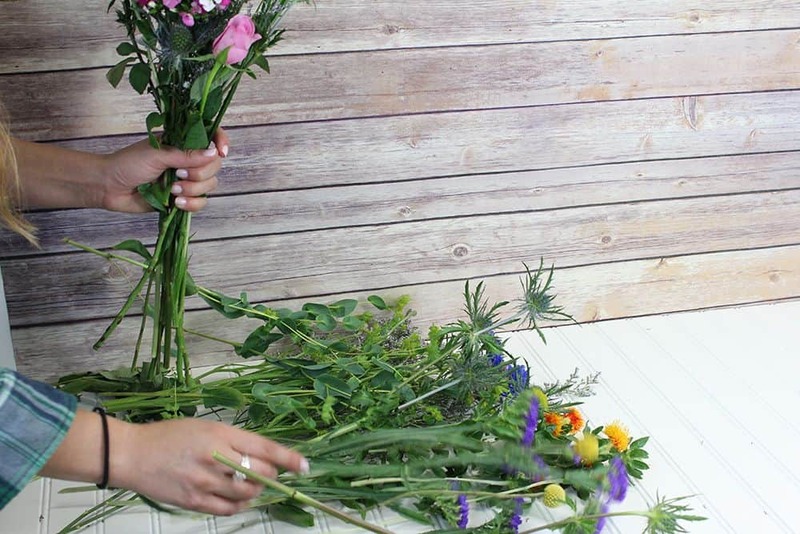 The technique for making a wildflower bouquet is very simple and flexible. It’s just a matter of turning the bunch and adding more stems. 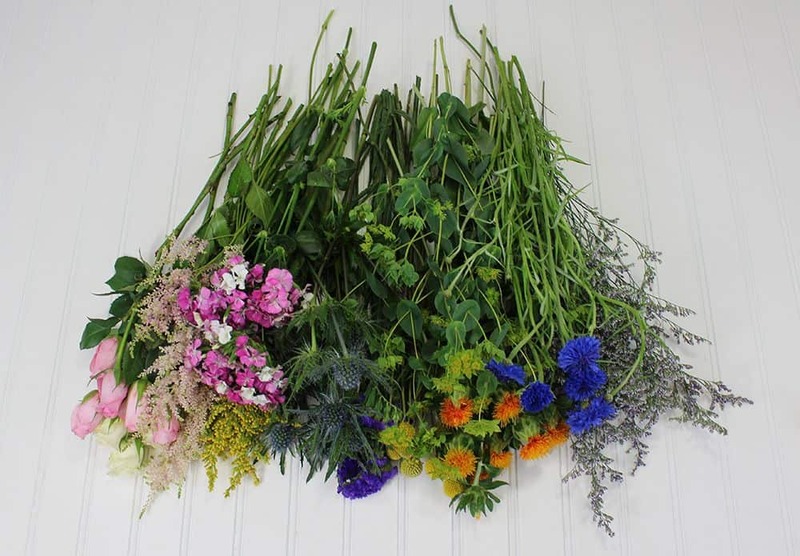 The shape is less important in wildflower bouquets, each of the stems usually poking out at different lengths. With all the different color blooms, make sure there is a nice balance of color in each section. This is our second bunch after some more additions of bigger and brighter blooms. Another layer of floral tape is not necessary but can be added. The reason it’s not necessary is that you will probably end up pulling out some blooms or adjusting their positions. Above is our third bunch. Most of the big and bright blooms are added and working to make a triangular shape. We used fillers and the bupleurum to stick out and line the edges of the bouquet. Then once they were in a good position, the bouquet was wrapped with floral tape. 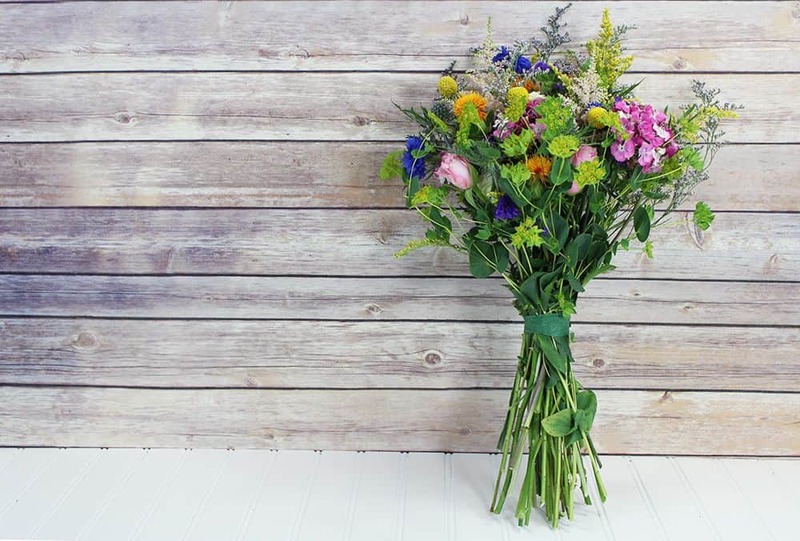 For wrapping wildflower bouquets the stem wrap can be very narrow, instead of wrapping the majority of the stems, this allows the stems to stick out in different directions on the bottom. It’s gorgeous AND so unbelievably inexpensive. 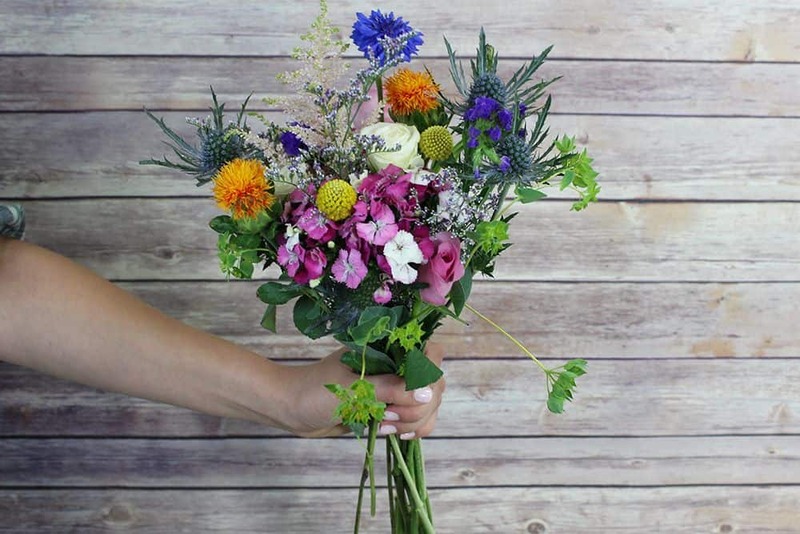 One bunch of each of the blooms listed above could give you 4+ of these bouquets. Now that is a deal. 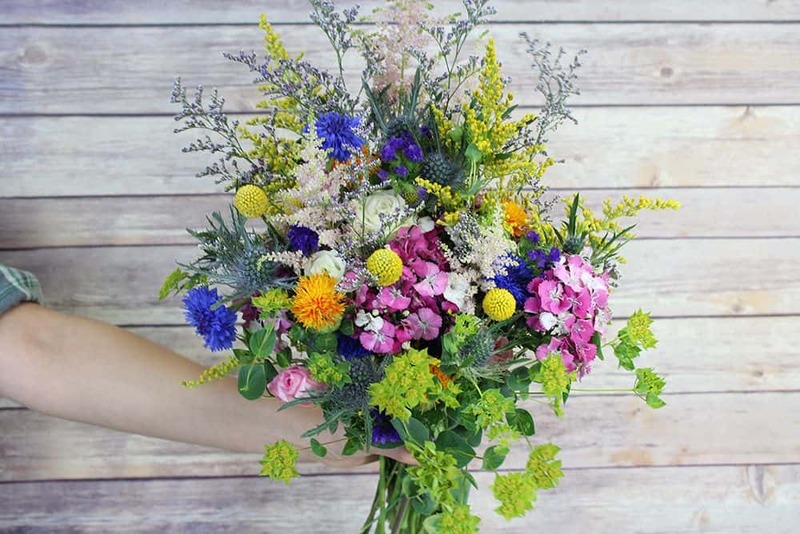 Let us know if you have questions on how to make a wildflower bouquet! Wow! So pretty!! Love the tutorial!!! I need to make two of these very similar bouquets for a September wedding. What is your suggestion for how to purchase this amount of flowers? Hi Becky! 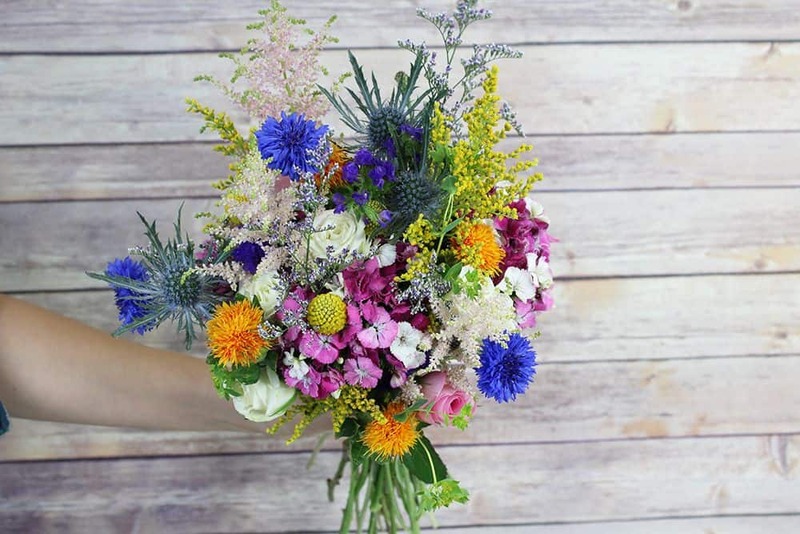 The flowers uses are purple statice, orange safflower, purple limonium, billy balls, solidago, bupleurum, blue cornflower, thistle, pink sweetheart roses, white sweetheart roses, pink dianthus, and pink astilbe. You can purchase a single bunch of each item, which will be plenty to complete both bouquets. So I can just purchase one bunch of each item I need? I need these flowers for September 22 so probably on the 20 or 21st. 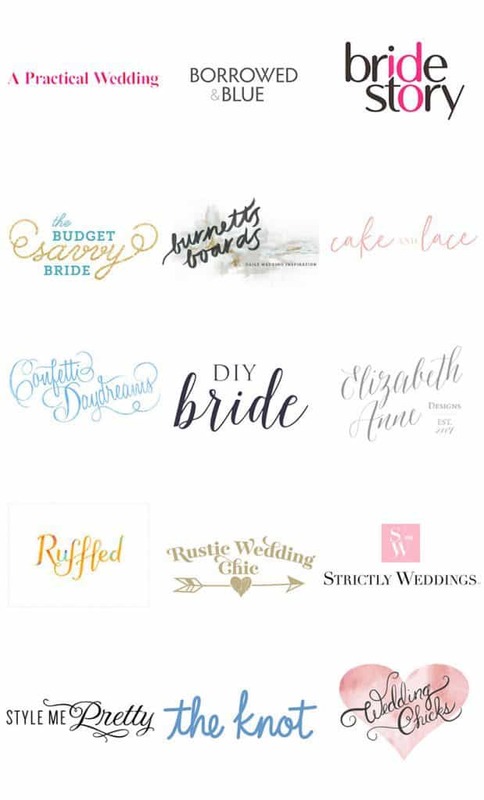 Here is a list of faves, can you tell me what will be available when purchased as a single bunch?